If I’ve sent you the link to this page, chances are that I have recommended this stretch for you to help open up the front of the body, especially through the chest and the front of the shoulders. In this day of desk sitting and technology, the majority of clients I see who come in for remedial massage or structural integration work have the typical head forward, shoulders rounded posture. This posture is problematic because it can create tension and pain in the back, shoulders and neck. And that’s where most people feel it so assume that’s where the problem is. I love this stretch because its easy to do, and that makes it doable. For most people, in the evening when watching TV or winding down for bed can be a great time to do this. To start with you may only be able to do it for 3-5 minutes, and that’s ok! As long as you do it consistently, every day. Chances are, if you’re shoulders are pulled forward and down, or your head is drawn forward, it’s something that has been building consistently over many years - and so it will take time to counteract this. And, once things are aligned a bit better - this can be a great way to help prevent the problem in future. 1. Use either a rolled up yoga mat or a half foam roller for this. Either works, it depends on how much of a stretch you need. For many, rolling up the yoga mat can be enough to begin with. I would not recommend using a full round roller for this as it will be way too high. 2. Lie on the foam roller or yoga mat as pictured below. You will want to try and get your back nice and flat by tucking your tailbone under, and dropping your chin towards your chest a little more than is pictured below, to give you some flatness in the upper neck (but only go to where is comfortable). Have your arms out at 90 degrees (or less, if needed) with palms facing upwards. The amount of stretch and how comfortable you feel depends on where you move the arms - and you can have them wherever works for you. 3. Hold this position for however feels comfortable for you. You can start with 3-5 minutes, and then work up towards 10-15 minutes. The more time you spend at a desk or in a position which encourages your shoulders to round forward, the more important this will be for you. Structural Bodywork & "The 3 Series"
I am so excited to be back in Perth after 11 days in Sydney doing some further education training in the field of Structural Integration, and am now offering Structural Bodywork sessions as part of the Holistia remedial therapies. But what is it? Read on to find out more! What Is Structural Bodywork & The 3 Series? Structural Bodywork is a manual therapy that focuses on releasing restrictions in the fascia of the body. Fascia connects the whole body, covering every organ, muscle fibre and bone, continuing right down to arteries, veins and nerves. Since the whole body is connected, it makes sense that tension in one part of the body can have a profound effect on other areas of the body. A good way to imagine how it works is this: grab the bottom corner of the front of your t-shirt, and scrunch it up in one hand. Now observe what happens to the rest of the t-shirt. Can you see or feel the pull in other areas? This is a great way to imagine how a fascial restriction in the hip could be creating tension in the opposite shoulder. The work aims to identify and release postural and movement patterns that may be contributing to chronic pain, restricted movement and tension. The sessions help to bring the body back into balance, creating more space, awareness and ease of movement. The 3 Series works through the body in a series of three 90 minute sessions. The first session starts with the feet and legs to create grounding and support from underneath you, with the second session following on with the upper body and arms. The final session completes the series by balancing the spine, neck and head. The series is done in such a way to provide you with grounding, support and balance – you cannot have one without the others! How can Structural Bodywork help me? Structural bodywork is ideal for those who have chronic pain, reduced movement or mobility through the body, or areas of general tension that create discomfort. It is aimed at finding the cause of the problem, so you may find that during treatment the focus may be on an area that is different to where you are experiencing pain or tension. By easing the restrictions and adhesions in the fascia, your body will start to move differently – you may feel a sense of more space, or even just become more aware of parts of your body that you didn’t realize were not moving freely. You may feel more connected to your body and find new ways to move. How does Structural Bodywork differ to massage? There are a number of ways that Structural Bodywork differs to massage, but the main difference is that it is a more collaborative approach between client and practitioner. During the session, your posture and movement will be assessed - not only at the start of the appointment, but you will be regularly re-assessed throughout the session. You will be asked to move and feel the work being done, to help create more awareness of your body, its posture, and how it moves. Compared to massage, the draping is minimal, and so clients are advised to wear comfortable shorts or underwear, and women are advised to wear a sports bra or two piece bathers. Some of the work may be done while seated rather than lying on the table, and throughout the session you will be asked to walk and/or move to integrate the work. I am constantly amazed at the changes that are experienced by this work – if you’d like to know more then please don’t hesitate to contact me and ask – and if you’re keen to give it a go then head over to the booking page and book your appointment today! I’m not sure how it is at your place, but where we are (and hearing from clients and friends) there are some NASTY bugs going around at the moment! And winter has barely begun! I’ve written before about some general tips on winter wellness but this month I’m going to delve a little more into specific remedies that I usually have at home for my own family (and like to use this time of the year). Some of these are available over the counter as retail products, but some may require a consultation and prescription. 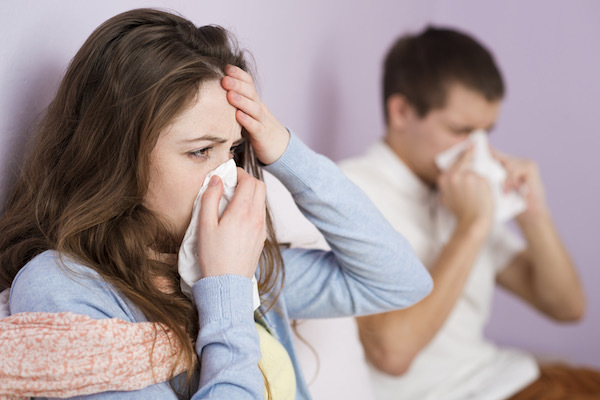 The good news is that I do offer Express Consultations (15 mins) for acute issues like colds and bugs – so if you or your family get sick then please do call the clinic and book one in. It’s only $35 for the consultation and will allow me to prescribe you what you require to help you get over these awful bugs a little quicker (we hope!). If you can’t get in, then you can always ask at your local health food store or pharmacy about what they might have that is similar/equivalent. Zinc is always my number one go to for winter colds, and I use/prescribe a product that contains vitamin C in it as well. The one I prefer is a practitioner product, meaning it does require a consult to prescribe it, however there are many retail brands that offer something similar. BioCeuticals have a range that you can get by asking at a chemist/health food store, and Ethical Nutrients also do a product with Zinc & C in it. If your family is prone to catching all the bugs, then it’s a good idea to take it at the recommended maintenance dose throughout winter as a preventative. If you get sick a lot, then speak to your GP about it and ask them to check your Vitamin D levels! Vitamin D is ESSENTIAL for good immune function, and if it turns out you’re low it’s a simple fix to get it sorted. Be mindful that there are “normal” levels (which are usually defined as within the reference range of the tests) and optimal levels. It’s a good idea to chat with the GP about this, because the results might say your levels are normal, but they might be on the lower end of the scale, meaning you could still do with having them bumped up a bit more. Yep, another one which keeps coming up. There are a number of different types of probiotics that are specific for different conditions, and immune health is a key one. As above, if you are someone who is prone to getting sick then I would suggest taking a probiotic which is specific for immune health all winter. Retail brands that would be worth looking at are again BioCeuticals & Ethical Nutrients, though I prefer the practitioner brand that I use both at home and in clinic. Tissue salts & celloids can be really helpful to use as soon as you start to get a sniffle, cough or fever. Tissue salts can be purchased at health food stores – the brand to grab is Scheussler’s. The ones you will want to look for specific for winter colds are ferr phos (fever or inflammation), kali mur (for congestion or clear mucus) and kali sulph (for mucus that is yellow or greeny in colour). Celloids are a practitioner only product but work in a similar way – I tend to use celloids more at home as I find they work brilliantly for the whole family. I do also make up custom liquid tissue salts formulas for my kids and my clients. These can be helpful for younger kids as liquids in a dropper are easier to just add to water or squirt in the mouth with a dropper. Aconite – This is a great remedy to always have in the home as it’s useful for pretty much any symptom that comes on very suddenly and seemingly out of the blue. This could include a sudden fever, croup colds or coughs that come on suddenly after exposure to dry cold wind, exposure to temperature extremes. Ant tart – Coarse, loose & rattling cough that feels suffocating with shortness of breath. The chest feels like it is full of mucous that doesn’t seem to come up. Worse early morning (3-4am). Belladonnna – For use during the first stage of the inflammatory process, when the skin feels hot and red and the face is flushed. Usually the symptoms come up suddenly. Also can be used for intense tearing pain in the middle/external ear, a dry tickling cough or inflamed tonsils. Bryonia – For a dry, hacking, painful coughs. Tough mucous in the throat that only loosens after much hacking. Euphrasia – Nose blocked up in the evening but can be watery during the day. Sinus headache due to congestion, and a hacking cough that usually only occurs during the day and hoarseness of the voice. Nux Vomica – Runny nose during the day which gets blocked up at night. Cold weather causes the nose to get stuffed up and possibly alternating between nostrils. Itching in the ears and tickly nose which triggers sneezing. Dry, tight, hacking cough with gagging. Tendency to feel chilly/shivers if uncovered, wants to stay wrapped up & warm. I like to prescribe custom herbal liquid formulas, so that I can ensure that the herbs chosen are specific to your symptoms or health complaint. Herbal medicine is one of my major tools at home for my family! However if you are after an of-the-shelf brand, you really can’t go past the Kiwiherb range. I always have their De-Stuff for Kids in the home, and use it regularly throughout the winter for both my kids. They also do an immune range for adults which you can buy online. Another great product is the BioCeuticals Armaforce - and they have recently created products for pregnancy and children as well. Now it goes without saying that this information is not medical advice and does not replace the advice of your GP. However they are very handy to have in the home at the onset of cold & cough symptoms, and they are a great complement to support your healing in conjunction with your health care professional’s advice. Gut Health – Why is it so important? The topic of “gut health” is coming up more and more frequently in the media, documentaries and on social media. But why is it so important? There seems to be a lot more research coming out about the role our digestive system has on various other aspects of our physical (and mental!) wellbeing. I find this awesome because it means that every person can do something to change their health. As a Naturopath, I find that almost all of my clients will show symptoms of gut issues, even if the problem they are coming to see me about isn’t specifically digestion-related. So gut healing and repair is almost always the first place I start with their healing journey. For many people, healing the gut can help to reduce a whole range of symptoms. So what sort of things can be impacted by gut health? This is of course the most obvious one, so I will start here. Now, while what is “normal” for one person and another can vary, there are some obvious signs of digestive issues when it comes to food intake and elimination. Symptoms such as heartburn, reflux, bloating, excessive wind or burping, pain on elimination, diarrhoea, constipation (and alternating between the two) are all problems that relate to issues within the gastrointestinal system. These sorts of symptoms can be problematic not just from the physical discomfort, but also with the stress and anxiety that can be associated with experiencing these symptoms on a daily basis. And while these symptoms may be due to a variety of diagnosed disorders, one of the more common disorders with these symptoms (experienced by one in five Australians (1)) is IBS. IBS describes a set of symptoms that can be caused by a variety of things such as stress, infection, poor diet and food intolerances. It also indicates that your digestive system may not be properly breaking down and digesting the food you eat, which means that those nutrients may not be properly absorbed. This then can have a knock on effect with other body systems not working as well as they should be. When you consider the fact that poor digestive health can mean that the nutrients you eat aren’t getting absorbed properly, it stands to reason that this could contribute to poor immune function. There are a number of nutrients such as zinc and vitamin C which are essential for immune health, and if you’re not absorbing these nutrients from your food you may end up prone to getting sick more often and unable to fight infections. The other factor that is important to consider is the role that the “good bacteria” in your gut plays with your immune health. 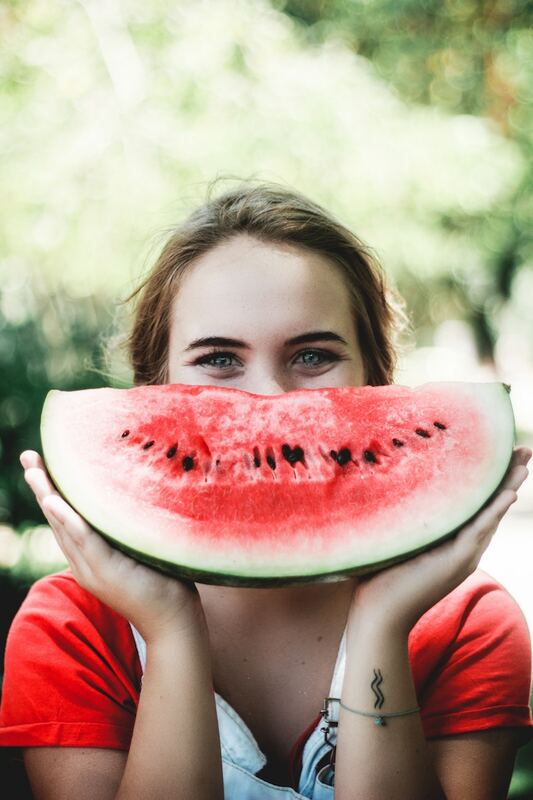 In simple terms, there needs to be a healthy balance of the varieties of bacteria in your gut – and the foods that you eat and the functionality of your digestive system plays a huge role in how well this is balanced. (2) There is a lot more research being done in this area which is very exciting, and we are learning more and more about how important this balance is for our immune function. Not only that, imbalance can also increase inflammation in the body and lead to other diseases such as heart disease, cancer and diabetes. There is increasing information becoming available about the link between gut health and mental health. Your mental health can be affected by inflammation in the body, food choices, stress, your gut bacteria balance and absorption of nutrients. Many of the neurotransmitters that are involved in mental health have a relationship with the digestive system – for example 90% of serotonin is synthesized within the gut with your gut bacteria playing an important role in that process. (5) This is one of the great examples, as serotonin is important for mood and sleep regulation, memory and function. (6) Your gut and your brain have a direct connection with each other,(7) and this two way relationship can be impacted both by how well your gut functions (which affects your brain) and what’s going on with your brain (for example, chronic stress can impact on how well your gut functions). This can create bit of a loop, and can sometimes be tricky to work out what’s the bigger factor in the chicken/egg conundrum. Improving your gut health doesn’t have to be a big complicated process. For some people it does require a little additional help, and that’s where I come in! But that doesn’t mean you can’t start making changes to your diet and lifestyle right away to have an impact on your health. So, here are three things you can start doing today! For many people, gut related issues stem from incompatible or intolerant foods. The best way to start looking at this is to keep a food and mood diary for at least a week, to try and identify if there are any foods that are exacerbating symptoms. This can be obvious for the more common trigger foods such as milk, bread, or eggs, but sometimes there can be foods that contribute to symptoms on a lower level and can be trickier to identify. If you’re unsure, then it’s helpful to look at something like Bio-Compatibility Testing to help you work out what to eat and what to leave out. I am sure you have heard this one many times over but it is one of the most important recommendations! Eating a variety of fresh fruits and vegetables of different colours not only ensures that you get a variety of nutrients into you, it also ensure that you are feeding a variety of those microbes that help with immune function and mental health. Fresh really is best! Eating the same thing every day means you’re only feeding certain types of bacteria, and you need that balance. An important part of gut healing is the repair and nourishment of the gut lining. If you’ve had chronic digestive complaints for a long time, chances are your gut lining may be inflamed and reactive, which can compound the digestive issues. By including a nourishing bone broth or gut healing vegie broth (link) you can help to heal and seal your gut lining, reducing the inflammation and allowing it to function the way it is meant to. While these tips are great for getting started, it is really important to be aware that if you have severe digestive symptoms that seem to have come out of the blue, you must ensure that you see a health professional about it. There are some serious conditions that can cause digestive symptoms and so when in doubt always always get it checked out. 1. Irritable bowel syndrome (IBS)2015 03 May 2018. Available from: https://www.betterhealth.vic.gov.au/health/conditionsandtreatments/irritable-bowel-syndrome-ibs. 2. University OS. Gut microbes closely linked to proper immune function, other health issues2013 03 May 2018. Available from: https://www.sciencedaily.com/releases/2013/09/130916122214.htm. 3. Van Evra J. Inside the Microbiome: Why Good Gut Bacteria Is the Big Hope For Allergic Disease. Allergic Living [Internet]. 2017 03 May 2018. Available from: https://www.allergicliving.com/2017/11/30/inside-the-microbiome-why-good-gut-bacteria-is-the-big-hope-for-allergic-disease/. 4. Craven C. How Balancing Gut Bacteria Can Ease Autoimmune Diseases2016 03 May 2018. Available from: https://www.healthline.com/health-news/how-gut-bacteria-ease-autoimmune-diseases - 1. 5. Stoller-Conrad J. Microbes Help Produce Serotonin in Gut2015 03 May 2018. Available from: http://www.caltech.edu/news/microbes-help-produce-serotonin-gut-46495. 6. McIntosh J. What is serotonin and what does it do?2018 03 May 2018. Available from: https://www.medicalnewstoday.com/kc/serotonin-facts-232248. 7. Bertrand P, Loughman A, Jackson M. Gut feeling: how your microbiota affects your mood, sleep and stress levels2016 03 May 2018. Available from: https://theconversation.com/gut-feeling-how-your-microbiota-affects-your-mood-sleep-and-stress-levels-65107. Sleep Hygiene – What Does It Mean? One of the common issues that I experience with my clients is sleep complaints. This includes the ability to get to sleep, quality of sleep, and the ability to wake up feeling refreshed after getting enough sleep. The main sleep issue that I come across is the inability to fall asleep with ease (racing mind, laying awake, anxiety, overthinking), closely followed by waking up feeling lethargic, and like you’ve not actually slept well at all. A 2016 Sleep Health Survey of Australian Adults found that sleep problems are quite common, with around 33-45% of adults having difficulty sleeping or feeling the results of inadequate sleep during the day. Of these people, around 20% experienced problems relating to chronic insomnia. Most interestingly, 26% of respondents stated that they use the internet right before sleep and experience sleep related difficulties. (1) For some people, an underlying medical condition such as restless legs or sleep apnoea can cause problems sleeping, however for the majority of people its due to their sleeping and night time habits. When we sleep, there are many functions that the body carries out that are required for optimal health and well-being. Sleeping is important for maintaining memory and consciousness – and during REM sleep the brain can clear your working memory and improve the ability to process information when you next wake. It is also during sleep that your brain is able to remove toxic accumulation of by-products of neural activity that are accumulated during the da. This is due to the fact that when you sleep the space between the brain cells increases, allowing for the waste to be removed more effectively. So as you can see, sleep is pretty important! Unfortunately, a lot of people don’t realize the effect their evening and pre-bed time habits have on their ability to get to and stay asleep. And this is where the term “sleep hygiene” comes in. These are first-step basics that you can implement to try and help you get a good night’s rest. Of course some of you may require more – which I can definitely help with – but this is a great place to start. If you have trouble getting to sleep at night, it would probably be beneficial for you avoid looking at bright screens for a good 2-3 hours before bed. However we all know this may not be realistic at all. A lot of people work late, or use TV to relax after a busy day, or like to read in bed. If you can, try for at least an hour before you want to sleep. If even that is too difficult, it would be worth investing in a pair of red lens glasses to wear in the evening. Red light has the least power to shift your circadian rhythm and suppress melatonin, meaning it will reduce the effect that blue light has. Smart phones also have the ability to either install an app that will put a red overlay over the screen, or may have a night time setting that will do a similar thing. These apps can also be installed on some desktops/laptops. I would strongly recommend taking the TV out of the bedroom if you have one, to avoid the temptation of watching TV while trying to get to sleep. 2. Create a routine around going to bed. This is something new parents do for babies, to help them wind down at the end of the day and teach them that night time is for sleeping. The same applies for adults. If you are still rushing from your day, or try to jump straight into bed after working or watching a high paced TV show then your body hasn’t had the chance to wind down, and it’s fair to expect you won’t be able to go to sleep right away. If this is you, then maybe it’s time to create your sleep time routine. What sort of calming and relaxing things can you incorporate into it? For some, it’s the making and drinking of a bed time tea. For others, it may be yoga or stretching in the quiet of the house. Some like to read a book (best to use a real book or a red light filter if it must be an electronic device! ), meditate, breathing exercises, have a shower or bath, or have a body care routine. Anything is possible, but the key is to establish this routine and turn it into a habit. And then your body will start recognizing this as “preparing for sleep”, and start to wind down as you begin your routine. By the time you want to actually sleep, your body and mind should be ready. 3. Create a sleep environment that promotes good sleep. If you are sensitive to light, try block out curtains and covering your clock/putting your phone face down. If you know that your phone will tempt you to check if you hear it beeping or buzzing, turn on flight mode so that you cannot be disturbed by it (or leave it in another room). If you are someone who requires sound to sleep, consider a white noise machine or try a podcast like “Sleep with Me”. Make sure your bedroom is free of clutter so that energetically you are not feeling overwhelmed or feeling confined when you are in your bed. And try not to work in bed! 4. As always, diet is important! It’s not just a matter of what you eat, but when you eat. Heavy meals right before bed can hinder your sleep. Not only that, it could cause you to wake during the night with reflux and indigestion. This is because our bodies are designed to better digest foods while in an upright position. (5) The stomach can take up to 3 hours to empty, which is why it’s best to eat at least 3 hours before bed OR have a very light dinner. If you were to look at the Chinese Medicine perspective, the stomach has the highest amount of energy at 7-9am (which is why a decent breakfast at this time is a perfect way to start the day), which means that it has the least amount of energy between 7-9pm (which is when most people eat a heavy dinner). So if falling asleep is an issue for you (or night time waking due to heartburn or digestive discomfort), consider eating earlier (by 6-6:30pm) and have a lighter, easily digestible meal – and then keep a food and mood diary and see if it makes a difference. These are just some suggestions you can start straight away to make some changes to improve your quality of sleep. Of course, there are a number of herbal remedies and nutritional supplements that can be helpful in promoting sleep, such as magnesium, chamomile, lavender and passionflower. Essential oils, bath salts, and magnesium lotions can all be helpful too. If you feel you require some guidance or further support in this area, then that is what I am here for! 1. Adams R, Appleton S, Taylor A, McEvoy D, Antic N. Report to the Sleep Health Foundation 2016 Sleep Health Survey of Australian Adults The Adelaide Institute for Sleep Health; 2016. 2. NHS. Why lack of sleep is bad for your health2015 16 Feb 18. Available from: https://www.nhs.uk/Livewell/tiredness-and-fatigue/Pages/lack-of-sleep-health-risks.aspx. 3. Osiecki H. Promoting Restful Sleep: The Overlooked Factor for Wellbeing. n.d.
4. Health H. Blue light has a dark side2012 16 Feb 18. Available from: https://www.health.harvard.edu/staying-healthy/blue-light-has-a-dark-side. 5. Brodwin E. Here's Why You Should Never Eat Right Before Bed2016 16 Feb 18. Available from: https://www.sciencealert.com/here-s-why-you-should-never-eat-right-before-bed. ADHD - What Can You Do? ADHD is a complicated thing which requires a multi-faceted approach. There are numerous co-morbidities associated with ADHD and as such I must stress that if you feel you may have (or do have) ADHD and are struggling with mental and emotional health conditions such as depression, anxiety, impulsive behaviours, OCD behaviours or addictive patterns such as substance abuse(1) then it is important to seek the advice of a health professional. As you can see from some of the associated conditions I’ve just mentioned, ADHD can impact a person’s life in a significant way. Especially for those of us who go through a big portion of our life undiagnosed. There is still a common perception that ADHD is not a real thing, that it’s limited to young boys who can’t sit still in class, that it’s a purely hyperactive state, and that it’s a product of “bad parenting”, and that people with ADHD are unable to focus. Thankfully there is more and more research coming out about it to dispel those myths. So what are some of the FACTS about ADHD? 1. ADHD is characterized by “a persistent pattern of inattention and/or hyperactivity-impulsivity beyond the range of developmental norms, which may impact on personal, academic, familial and societal functioning“. (2) So while many people may experience some of the symptoms in their life, ADHD is when these things are so disruptive that they impede a person’s ability to live their life in a “normal” way. * I have had experiences in my life of all three – inattentive as a child but smart enough to get by in school with good grades while putting no effort in, and then the impulsive/hyperactive type as I left school and went through my 20s which resulted in the obliteration of my finances and my self worth. 5. People with ADHD are commonly seen as people who are unable to focus. However that’s not quite true. We just have a hard time being able to focus on things that do not interest us. So if we are at school doing a subject we don’t care about or at work doing a job we hate, we have a very hard time being able to keep our attention and focus. However when it comes to things that we are interested in, for many of us the opposite is true – we become obsessed with it, and tend to “hyperfocus” on these things for extended periods of time. Which can be a brilliant advantage, IF we are able to do things in life that interest us. So now we know what it is and what it isn’t. So what can we do about it? Firstly it is my (interesting) point of view that ADHD has many amazing and positive attributes. We can focus intensely on things we love. We are impulsive, which can be both a positive and negative thing – the impulsivity can be hugely creative and innovative if directed the right way. The problem we face is that we are trying to find ways to manage it when doing things we either are uninterested in or find boring (and for many kids its school, and for many adults it is work and/or mundane life responsibilities!). While I’d LOVE to go more into that side of things (maybe in another 8 months I’ll write another article??) for today I am going to focus on how you can help bring those symptoms more into balance from a Naturopathic perspective. The thing to really remember is that for many people no single thing is the magic “fix” for ADHD. Even medication for those who require it is a small piece of a big puzzle in helping to improve function in their lives. So while these suggestions will be helpful, they are not the “quick fix” solutions many of us seek. What is being discovered is that if the balance between the “good” and “bad” bacteria is disrupted enough, mental health can be compromised and symptoms of disorders like ADHD can be exacerbated. (8) Last year I wrote an article about gut microbiota and probiotics and when taken in context of ADHD the main thing to remember is that different foods feed different microorganisms. What you eat determines what kind of balance you will have in your body. It is therefore recommended that you eat a variety of fresh fruits and vegetables (eat the rainbow!) and reduce or eliminate the amount of refined carbohydrates and sugars as consuming too much of these foods can feed the wrong kinds of bacteria. This is what can cause the imbalance within your gut. Zinc: nuts, oysters, eggs, seeds, garlic, mushrooms, green leafy vegetables. Iron: red meats, seeds, eggs, leafy greens, tomato, tofu. Magnesium: nuts, seeds, red meats, dark chocolate, berries, leafy greens. Bioflavonoids: fresh fruits and vegetables, especially leafy greens and berries, citrus fruits, dark chocolate, green tea and barassicas. As a general guide, following a diet such as the Mediterranean diet is a good way to ensure you get that balance of nutrients while also reducing processed and inflammatory foods that can exacerbate symptoms. To download a free information sheet on the Mediterranean Diet please click here. For some, supplementation is required – and this is where it is important to be under the care of a health professional who understands the conditions and can prescribe appropriate nutrients. Another option that may be beneficial is Bio-Compatibility testing to identify foods that may be incompatible with your body. By eliminating these foods and repairing the gut, you can reduce inflammation and improve your body’s ability to properly absorb the nutrients required for optimal function. Exercise is very important for people with ADHD. It has been shown that there are consistent beneficial effects on both cognitive and behavioural symptoms when exercise is combined with conventional therapies. (9) When you consider that for many people with ADHD sitting still for extended periods of time can be problematic, it makes sense that movement is beneficial. The amount of exercise required by an individual varies, so find what works well and stick with it. The beneficial effects of exercise on mood and mental health conditions such as depression and anxiety are also well documented, as well as the impact it has on sleep problems. Considering the prevalence of these conditions in people with ADHD, the benefits are compounded. If you’d like some ideas on how to get started, have a look at this article I wrote on the subject a little while ago. There are a number of other therapies that may be beneficial in balancing ADHD symptoms. Chiropractic care, yoga, meditation and massage (9) have all been shown to help improve symptoms in children & adults with ADHD. Meditation and yoga are beneficial because they teach mindfulness and how to be present. A big issue with ADHD is the “racing mind” and jumping from one task to the next. While this can be a benefit when you’re wanting to multitask, sometimes it can get too out of hand and result in nothing getting done at all. With mindfulness and awareness techniques there is more focus on being aware of what is important and what can wait, which results in a “lessening of symptoms” or rather more focus and ability to concentrate on specific tasks. On a personal level I have found that Access Bars and the various tools that are offered by Access Consciousness has been incredibly helpful in changing my points of view around who I am and who I BE, in acknowledging what's great about me and how I can use these amazing qualities to my advantage, instead of feeling like they're causing me to be at a disadvantage. Hopefully this has given you a brief introduction into what you can start changing to help manage your (or your children’s) ADHD symptoms. If you feel you could benefit from some one on one support then please don’t hesitate to book in a Naturopathic consultation. I also offer free 15 minute discovery calls where we can have a chat about what I offer and how I work to see if we will be a good match with one another. If you have any questions or would like more articles written on the subject, please get in touch and let me know! 1. Institute A. Comorbidities2017 31 Jan 18. Available from: http://adhd-institute.com/burden-of-adhd/epidemiology/comorbidities/. 2. Institute A. Burden of ADHD2017 31 Jan 18. Available from: http://adhd-institute.com/burden-of-adhd/. 3. Institute A. Presentations of ADHD2017 31 Jan 2018. Available from: http://adhd-institute.com/burden-of-adhd/epidemiology/presentations-of-adhd/. 4. Institute A. Heritability2017 31 Jan 18. Available from: http://adhd-institute.com/burden-of-adhd/aetiology/heritability/. 5. Institute A. Neurobiology2017 31 Jan 18. Available from: http://adhd-institute.com/burden-of-adhd/aetiology/neurobiology/. 6. Aarts E, Ederveen TH, Naaijen J, Zwiers MP, Boekhorst J, Timmerman HM, et al. Gut microbiome in ADHD and its relation to neural reward anticipation. PloS one. 2017;12(9):e0183509. 7. Evrensel A, Ceylan ME. The gut-brain axis: the missing link in depression. Clinical Psychopharmacology and Neuroscience. 2015;13(3):239. 8. Reynolds JL. Is There a Connection Between Gut Health and ADHD?2017 31 Jan 18. Available from: https://health.usnews.com/health-care/patient-advice/articles/2017-09-08/is-there-a-connection-between-gut-health-and-adhd. 9. Sarris J, Wardle J. Clinical Naturopathy: An evidence-based guide to practice: Elsevier Health Sciences; 2014. Yep, it’s December and that means Christmas is already here. Again?! How did it happen so fast? It’s the same question, I ask myself every single year. For many people, Christmas is a frantic time of stress, busy-ness, and can actually be quite unpleasant. These past couple of years I’ve actually asked myself, what has happened to the magic and joy of Christmas – for me, personally – and why has it suddenly become a time of year just to try and get through? I don’t know if this resonates with anyone else but I used to LOVE Christmas. I loved the anticipation, the decorations, putting the tree up and sprucing up the house Christmas style. I have spent the last 4 years studying non stop and that has meant that Christmas has been just another thing on the pile of things that I need to get done and deal with. So what can we do a bit differently this year to not just survive the silly season, but to enjoy it? Or at the very least, not feel completely burned out by it? If you’re already leading a high stress life, then this time of year can always make it feel just that little bit worse. It’s really hard to find time for ourselves when we’re super busy, but it is actually the most important thing you can do. Looking after you is the number one most important thing – even if it means scheduling “me time” into your calendar! It’s little things like reading a book at a café by yourself, or spending time in the garden, whatever it is you love to do, to recharge. Make sure you fit it in as often as you need to re-fuel your energy so that you’re not a burnt out mess by New Years. Yes, move! Exercise and movement isn’t just going to be helpful for those few extra treats we all enjoy this time of year, but don’t forget how essential it is for your mental health. Bringing it back to the point about stress, we ALL know by now the health benefits of exercise when it comes to stress levels, and it ties in also with making time for you. Try and fit it in where you can – walk the dog, get to the gym if that’s your thing, get some friends together and play volleyball on the beach or go walking around neighbourhoods checking out the Christmas lights with your fam. Whatever it is, see if you can make it an “essential” not a nice to do, and see how it affects your mood over the Christmas period. How important is healthy eating to you? The answer to that is none of my business (unless you’re my client and you need me to help you with something!) – however YOU should pay attention to where YOU are at. If you are trying super hard to eat well and have done so all year with a diet, health or other goal in mind, how are you going to feel if you let it slide over Christmas? If fine with it – great! If you feel like it would impact you negatively, then see how you can ensure that you make the choices you need to get to the other side still feeling pretty darn good about yourself. On the flip side, Christmas can be a time for good food and good company. If being super restrictive is going to make you miserable, see what choices you can make to still stay on track but still enjoy the festivities. As hard as it might be – one important thing to remember is that you have choice. And I don’t mean about what to eat and what not to eat, but choosing what is right for YOU to keep your sanity during the Christmas period. If that means choosing not to attend certain functions or parties because it would stress you out too much, you are free to choose that! And you’re allowed to choose that without feeling guilty. Sometimes part of the big stress over Christmas is feeling like we have to please everyone, see everyone, do everything for everyone – but if you are already in a high stress state these are the things that can be tipping point for some of us. Look after yourself and don’t wait for January 1 to nurture yourself – start it now. Who is Manual Lymphatic Drainage suitable for? If you would like to book your manual lymphatic drainage appointment please follow the link below to book in. If you would like to know more about MLD please don't hesitate to call 0410 259 273 and I will be more than happy to answer any questions you may have. 1. Grace S, Deal M. Textbook of Remedial Massage: Elsevier Australia; 2012. 2. MacGill M. Lymphatic System: Facts, Functions and Diseases. Medical News Today [Internet]. 2016 01 November 2017. Available from: https://www.medicalnewstoday.com/articles/303087.php. 3. Willis A. Manual Lymphatic Drainage and its Therapeutic Benefits. Positive Health Online [Internet]. 2004 01 November 2017; (104). Available from: http://www.positivehealth.com/article/manual-lymphatic-drainage/manual-lymphatic-drainage-and-its-therapeutic-benefits. Remedial Massage Therapy – Not just your regular massage! I am not sure about you, but for a very long time the only massage that I was aware of was relaxation massage. I knew that remedial massage could help with tension, stress and backaches, but I had no idea that there was so much more to it than that. Generally massage practice in Australia is divided into two levels based on the level of qualification – Relaxation/Swedish massage therapy and Remedial massage. Massage falls under the “Complementary and Alternative Medicine” (CAM) umbrella, and so is a great therapy to complement other therapies including your regular primary care from a GP or other health professional. The role of a Remedial Massage Therapist (RMT) is to assess and treat musculoskeletal and other system disorders. (1) So it’s not (always) just a case of show up, hop on the table, treat and off you go. There are various assessments and techniques that are available to provide a holistic treatment in order to get you well and more importantly KEEP you well. Below I’ll discuss what to expect during your remedial massage treatment, what techniques are offered as part of your treatment plan, and what you may expect with regards to long term prevention strategies. If it is your first time coming for a remedial massage treatment or you are coming in because of a new injury or problem, then I’d strongly recommend booking in a 90 minute appointment instead of a 60 minute appointment. The reason for this is because in order to come up with a suitable treatment plan both for that day and long term, I may need to do some musculoskeletal assessments or screening processes in order to determine what is causing the problem and how to provide the best treatment for you. Sometimes we will re-assess during the treatment to determine the outcome of some of the techniques, however in most cases they’ll be done again after the treatment to compare pre and post treatment range of motion and/or pain levels. I’ll also take a thorough case history to get a general idea of your level of health, the history of the complaint and any other relevant health history details. Depending on the problem that you are presenting with, this can take anywhere between 5 and 15 minutes. If you’re just after a relaxation massage, the health history interview will be brief – however the treatment will only consist of relaxation massage which is of course beneficial for stress and tension reduction but may not specifically address your health concern. A remedial massage treatment may consist of a combination of techniques including relaxation massage, deep tissue massage, trigger point therapy, stretches, myofascial release and kinesiology taping. Deep tissue massage consists of strokes similar to relaxation or Swedish massage, however they are deeper, firmer, and can feel more intense depending on the area being treated. Deep tissue massage is intended to reduce pain, lengthen and stretch muscle fibers, improve lymph and blood flow, separate adhesions and deactivate trigger points. Trigger point therapy will generally be incorporated at the same time as deep tissue techniques, as usually the trigger points are found during the massage. A trigger point is a localized area of hyperirritability within a muscle that can be extremely tender when touched or compressed. In some cases, you may not know you have any until the massage, but in other cases they can be what’s causing your pain. Trigger points usually have a “referral pattern” of pain, that feels like a dull ache or a pain that you can’t quite work out how to describe or know where its coming from. Once trigger points are deactivated, pain can be reduced or eliminated completely. (1) When working on a trigger point I’ll ask you to let me know what level the pain is (on a scale of 1-10) to determine how much pressure is used. Stretches may also be incorporated as part of your remedial massage treatment in order to lengthen the muscles and improve range of motion. Stretches may be passive, or may include your participation via your resistance to further improve range of motion to specific muscles. Post treatment you may be prescribed stretches or strengthening exercises to address the issues that are causing your pain or discomfort. Stretches will be prescribed to further lengthen tight muscles, and strengthening exercises will be prescribed to improve weak muscles. These two issues together are a big contributing factor to pain and injury. The exercises prescribed will accommodate your level of fitness and exercise knowledge – both gym exercises and home exercise can be recommended. So as you can see, remedial massage is more than “just massage”! If you’re ready to book in your treatment then call 9293 2999 or visit the “Book Online Now” button below to make your appointment. 2. Rocktape n.d. [Available from: https://rocktape.com.au/. Exercise is important. We all know it. We all hear it. Sometimes we ignore it. But it's a truth that you can't escape. The health benefits of exercise are numerous, from reducing stress and anxiety, improving low mood, improving immune function and reducing many cardiovascular and hormonal imbalances (think type 2 diabetes and heart disease). But what about those of us who honestly lead very busy lives, juggling work, family/kids, study, or even all of the above? A gym membership is amazing if you can get there to make it worth the dollars spent. I have been a regular gym goer for many years, and during my last pregnancy we moved house and the first thing I did was sign up for a (2 year) gym membership at a local gym. Which was lovely, and the staff there were amazing. Unfortunately I did not anticipate how busy my life would get, and I think I managed to make it there less than 30 times. In two years. You do the math on dollars wasted on that one. While well intentioned, I just couldn't get there around my work/study timetable plus within the hours the creche were open. So instead I started finding different options for exercising at home, around my schedule. The kind of thing where I could go "Oh! Baby is in the high chair eating his dinner and I have 30 mins until he starts having a hissy fit, and I have to do some administrative work and fit in some study this evening so the time to exercise is RIGHT NOW." and drop everything and just get it done. Other days I'd set my alarm 30 mins before my normal get up time to squeeze it in before I start my day. It is helpful if you have a way to stream the internet onto your TV. We have a Chromecast which has turned out to be a great investment - it allows you to stream YouTube or other media sites from your computer or phone directly onto the TV. They're inexpensive too so worth looking into if this is something you'd like to do. Of course it is important to check with your doctor before embarking on any new exercise regime if you have any underlying health issues or have not exercised for a while. So - here are some suggestions! This was one of the first video channels I started using to ease back into exercise. It categorises the yoga workouts based on length of time and style, making it easy to choose a video that suits your level and the time you have available to do your exercise. Yoga is well known for its many health benefits, and is especially worth incorporating into your routine if you suffer from stress, anxiety, low mood, or tight muscles. Cost: FREE, with paid options available. I came across this channel while looking for other Yoga options when I wanted to stretch out my hips, and found it to be amazing - there are SO many videos of various lengths and styles that you won't have a problem finding a variety of videos that suit you. Fitness Blender have soooo many videos, so there is plenty of variety. They have heaps of workouts and many of them require no extra equipment, so if you don't have any weights or other fitness equipment you can still get an awesome body weight workout. To me this is a great bonus as it means not only lower cost but also you can just chuck the video on and go with no set up required. It also has low impact and advanced options for many of the routines as well as varying time lengths. Sweat with Kayla is an app that you install on your phone. It has a few different styles of workout aimed at building strength, losing weight, toning and exercising post pregnancy. If I am to be completely honest, I found the app a little confusing, and it took some effort to find out whether equipment is needed (it is, for quite a few of the workouts). As an all in one workout program that includes meal ideas and progress tracking it's good - and you can subscribe for 7 days for free to see if it is suitable for you. I have kept it here as there are a lot of great reviews for it and being an app means you can exercise anywhere - but the routines and exercises didn't really grab or motivate me. As a guided program and all in one app that you work through and track your fitness goals however it's a great option. Cost: $19.95/month (cancel any time) with a 7 day free trial. TIFFXO is a subscription program which includes workouts (fitness AND relaxation), meal plans and progress tracking. What I like about this one as it spells out every day what to do and what meals to make (if that's something that you find helpful) as well as other tips along the way. The workouts are 20 minutes each day and what's awesome is that because they are a martial arts style - you don't need any equipment OR shoes. So you can literally get up out of bed, chuck on some pants and a top (or as I have been known to do, stay in pjs!) go to your lounge, and get it done. You can also choose to do the extra 10 minutes to make it a 30 minute workout. Also, the FB community is amazingly supportive! Cost: Varies, with subscriptions available monthly, 3 monthly, or yearly - cancel any time. It’s finally here in Australia! Les Mills ON DEMAND allows you to workout in the comfort of your own home. So many people who have joined gyms with group fitness classes would be familiar with this, and it’s a great way to get going without having to get a gym membership, and it is SUPER affordable. So there you have it - hopefully there is something in here to spark a bit of motivation to get moving, I'd love to hear how you go with it! Do you use a probiotic? Perhaps you have heard of them but you’re not really sure what they are or what they do? In this article we’ll have a (very) brief look at the world of probiotics, but first let’s start with talking about what’s going on in your gut. Your gut microbiota is the term that is used to describe the tens of trillions of microorganisms living in your gut. Approximately 1/3 of our gut microbiota is common to the majority of people, however the remaining 2/3 are specific just to YOU. The estimated weight of our total microbiota is around 2kg. You also have microbiota living in other parts of your body for example your skin and your mouth. (Health, n.d.) Your gut microbiota play a role in digestion, maintaining and protecting the digestive tract, the production of some vitamins such as vitamin K and some components of vitamin B, and in immune function. It is important in not only helping to fight infections, but also in keeping the immune system in balance. (Jandhyala et al., 2015) It is so significant that some even classify it as an “acquired organ”. I have touched on this in a previous article, however it is also important to reiterate that what we eat in our diet can drastically affect both the number and variety of microorganisms in our gut. Prebiotics can be found naturally or added to food products, as well as being available in supplements. (Health, n.d.) These are indigestible fibres which make their way down to the bowel to feed the bacteria that populate that area. One of the major issues with the western diet is that it has higher amounts of refined carbohydrates, animal meats and saturated fats, and less of the whole foods and fresh fruit and vegetables essential for gut microorganism diversity. Foods that are highly refined and too easily digestible don’t make their way down to the bowel for those microorganisms. (Thomas, 2017) It is very important to ensure that your diet contains plenty of prebiotic foods – examples include garlic, onions, leeks, asparagus, tomatoes, apples, almonds and brans – and in fact in my opinion this is always the first thing to address if you are lacking these in your diet. Probiotics are preparations that “contain viable, microbial agents that have been demonstrated to improve health” (Hawrelak, n.d) You will usually find them either on their own as tablets or powders, or incorporated into supplements or foods. What is interesting (and really cool) about probiotics is that it’s not just a case of grabbing any probiotic off the shelf and off you go. Just like vitamins and minerals all have specific roles and therapeutic actions, so do the different strains of probiotics. More and more probiotic strains are being researched in order to be used therapeutically for many different health issues including digestive function and health, antibiotic use, immune function, mental health, autoimmune conditions, allergies and chronic congestion, asthma, and many other conditions. To read more detail about the importance of the difference in probiotic strains, here’s a great link: https://www.probioticadvisor.com/probiotic-essentials-1/the-importance-of-strain/ Some of the other benefits to particular probiotic strains is their ability to help the body rebuild its own native flora (which is particularly beneficial after antibiotic use), heal and repair the gut lining and suppress some pathogen growth. A point worth mentioning is that every single probiotic strain is unique, even if it is the same species. So the health benefits of one strain of Lactobacillus acidophilus could be different to another strain – and there are many many strains within each species. Because of the variety in strains and therapeutic uses, it can be a bit daunting when you want to go and buy a probiotic from the chemist. There are some well known brands that do label their products according to the strains in the probiotic and what their researched therapeutic properties are. This is a great option for something along the lines of general immune and digestive wellbeing. If you feel that you or your family are experiencing some of the more complex issues including some digestive complaints, allergies, eczema, recurring sickness or infections then it is definitely worth the time to come in for a consultation so that I can take a full case history and prescribe a probiotic that is suited to your own personal needs, with specific strains that are indicated for your symptoms. To book a Naturopathic appointment click the booking button below or call 9293 2999. To find out more about Naturopathy click here. Jandhyala, S. M., Talukdar, R., Subramanyam, C., Vuyyuru, H., Sasikala, M., & Reddy, D. N. (2015). Role of the normal gut microbiota. World journal of gastroenterology: WJG, 21(29), 8787. I’m pretty vocal about the fact that I have ADHD. I wasn’t diagnosed until I was 29 years old, so have lived with it all of my life (and most of it without realizing that was what made me so different). I find that depending on the circumstances it can be an incredibly creative and positive quality to have. Left unchecked and without ways of recognizing and managing it, it can also be a burden both to those who have it, and friends or family who are trying to support and help someone with (diagnosed or undiagnosed) ADHD. After a long journey which involved a lot of self management and digging around to find out what works for me, I’m in a place now where 95% of the time it does not affect me negatively. When it does, I recognize it and can make changes to sort it out quickly. A big part of having ADHD for me is impulsivity. And I always know when something has gone a bit skewy for me because that’s always the first thing that crops up – I start making super impulsive (and compulsive) decisions and it’s almost like someone else has taken over and is driving my actions – I have no control over what I am doing. What was ADHD like for me? In school, I was not a hyperactive or bothersome person. I was extremely shy, and very self conscious about it. Apparently some people thought I was snobby because of my shyness. I never ever EVER wanted to get in trouble, and that was a big driving force for going unnoticed. In class, I used to write notes to friends, and was distracting in that manner, without attracting the attention of a teacher. At home, instead of doing school work I’d literally sit at my desk and stare at the wall for 2 hours, or I’d write endlessly in my diary. Because of this “not wanting to get in trouble” driving force, I would ALWAYS make sure stuff got handed in on time. But for me that meant rushing to get it done the morning of, the recess or lunch before it was due. If I realized I wasn’t able to get it done before it was due, I’d pretend to be sick to stay home so that I could finish it. Plus the fact that I was able to get fairly good grades (mostly As and Bs with the odd C here or there and that darn D in Physics tarnishing my record!!) meant that there was really no reason for anyone to suspect that there was anything going on with me. I was excellent at pretending. Unfortunately, this does not translate well into the real world and the work force. Eventually, something has got to give. Throughout this time I am trying new things like business schemes or MLM'y type ventures, usually to help my money situation (which due to my unchecked impulsivity is becoming more and more dire). But of course I get excited about things, start them, get bored, stop….. Rinse, repeat. People would say "set goals, that's the only way you will succeed". So I did, and I never reached them because - you got it- I got bored. "Write lists! Check them off!". Excellent at writing lists, list are amazing! Getting through them? Nope. There were always new lists to be made. I kept coming back to square one where I was once again starting something new, or doing a New Years Resolution, or deciding yet again "TODAY I'LL FINALLY DO THIS AND FOLLOW IT THROUGH". But nope. Failure. Lazy. Procrastinator. Always gives up. Can’t finish anything. Useless. Never going to achieve anything in life. What’s the point. At 29 years old, I felt broken, my life was a complete mess – both personally and in particular financially – I had no sense of self worth, I was struggling with depression, and punishing myself in many different ways. To emphasise this, what led me down a path to my eventual diagnosis was me at this time in my life sitting at a computer crying and typing in things to Google like “why am I such a lazy person” and “why do I fail at everything”. I was surprised to somehow end up on pages about ADHD, which I thought I could never have, and I started doing online quizzes and scoring 90% ++ on every single one. I started reading other stories about ADHD (which at that point my perception of it was “hyperactive boys in the classroom” and that was it) and relating to so many of them, that I started to think that actually maybe there was nothing wrong with me and I wasn’t a loser but this was something I could actually change. Now can I just make a point here, that if you have a loved one who in a place of vulnerability says to you “I think I might have x, y or z”, please do not laugh in their face. This was what happened to me, and it automatically made me shut down and continue on for a number of months without pursuing it. However after this particular person was no longer circulating in my life and I decided that it was worth getting checked out. I figured if I have it, then I can do something about it. If I don’t, at least I can cross it off the list and keep looking. And thankfully he is a wonderful doctor and simply said “Yep, I can refer you, here’s the letter off you go”. So I did. And I scored off the charts for all the tests. My life has changed a LOT since that initial diagnosis 8 years ago, and the journey wasn’t all easy. I do not want this post to go on for too long, so the next post I write will talk about what options are available for helping with ADHD. The reason I wrote this today was because if you recognize any of this, or you have ADHD but struggle with it, or you have kids who you think might have ADHD, just know that you are not alone and there is actually nothing wrong with you.